I saw this RC Land Rider from plastic GW kit and probably this bigger one. 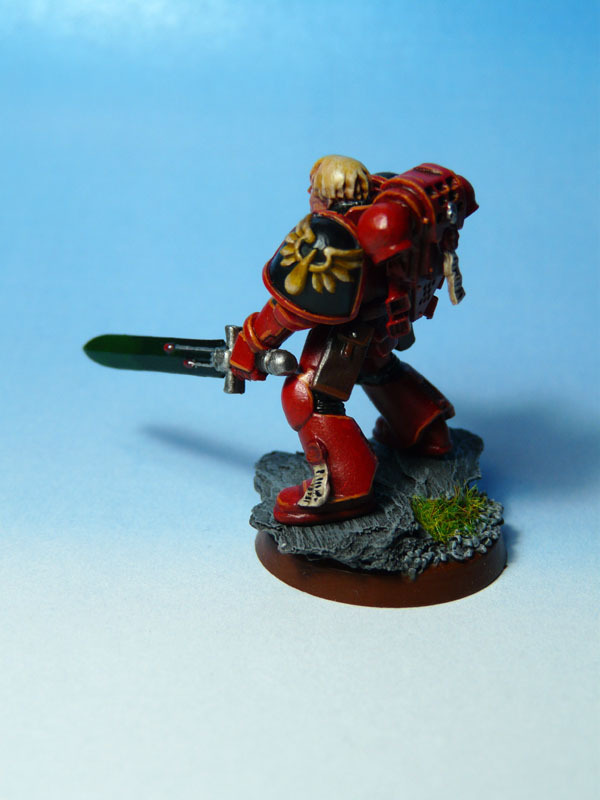 With Wh40k scale you have problem primary with tracks, if you want them look like original, you can use these plastic, but this is a bit madness and they are not designated as working tracks. They are too long and they have bad position of rotation axis. You have to use something different in scale or make your own. Next thing are driving wheels. 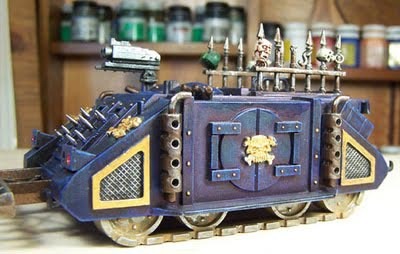 On WH40k vehicles are often on places, where will be hard to motorize them. Same as location of these tracks from blueprints. Too much hard work and too much money for that, in regular model you canAât even see it. Much simple is cut whole inside of tracks modules and use something different, that i general on completed model will look similar. Hey man im liking what ive seen so far. 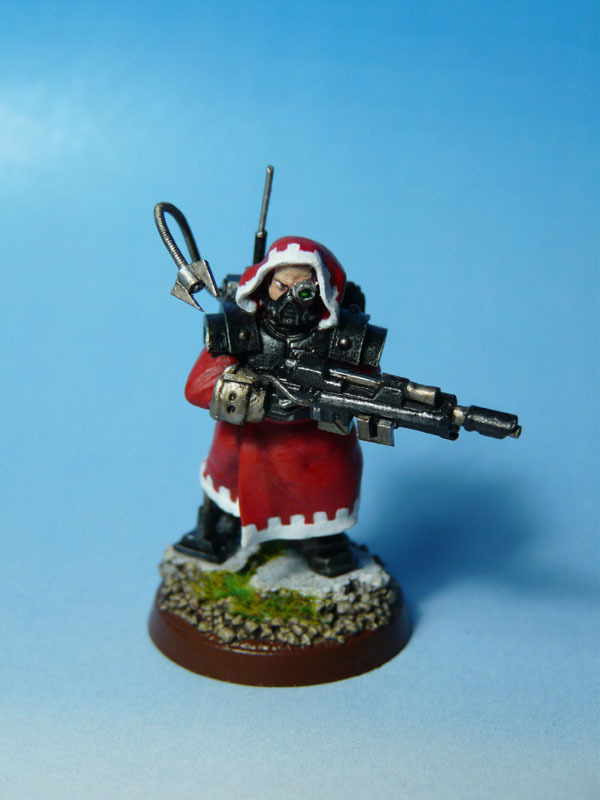 You ever done any low poly wh40k modeling? 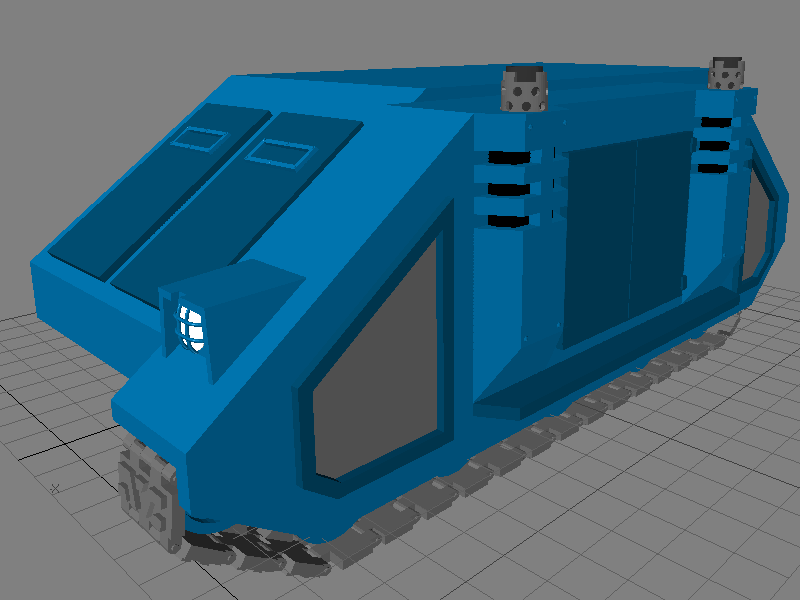 In past I did few lowpoly models for game purposes, but not WH40k related. But I donAât think that, I have free time to make low poly models for somebody. But I donAât have problem make hires renders as templates for somebody else. And here we have something new. 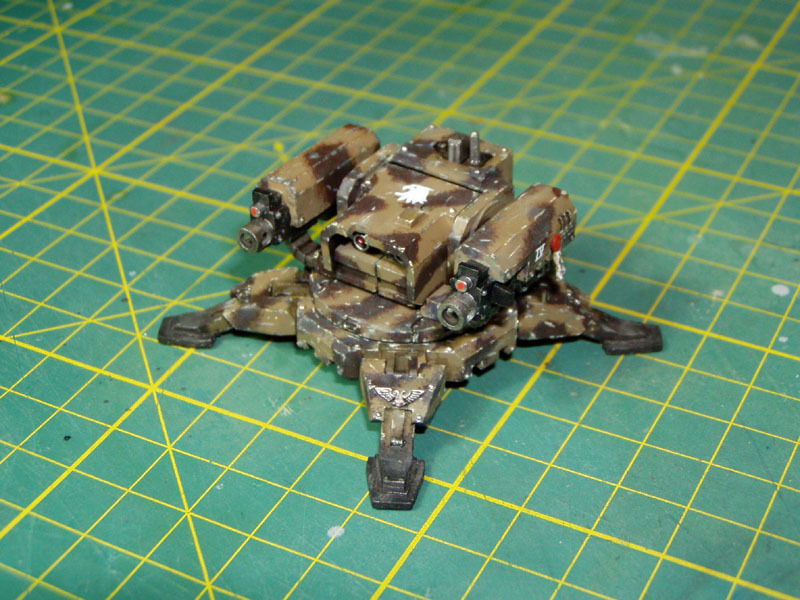 Rhino with Hyperios turret based on resin model from Forgeworld. Because I donAât have it as 3D model yet? May be. 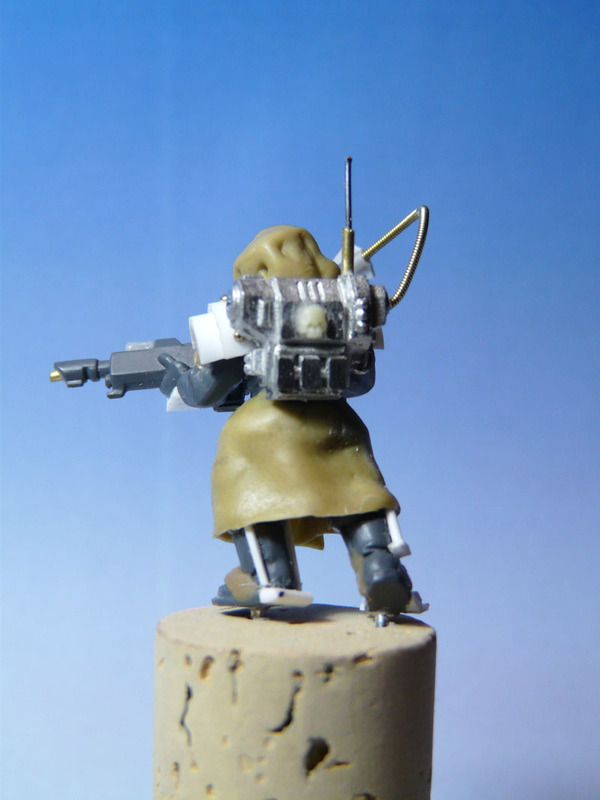 But this small radar, then hunterkiller missile launcher and some small details are still on ToDo list. Cool, I'll be looking forward to all the addon kits. Looking good Tom, very good. You can borrow my radar if you want, just till you've completed yours. Thanks, but I will make this part later. It is not that important. Btw I have in head something different. MK I. Rhino based on this custom model from new rhino + some plasticards by DeSnifter. I made something like this. To have preheresy pattern rhino, that is similar size as actual Rhino and doesnAât look like toy. Hm may be I bevel edges of these side hatch. I didnAât used round one, cos it does not match with rest of body. 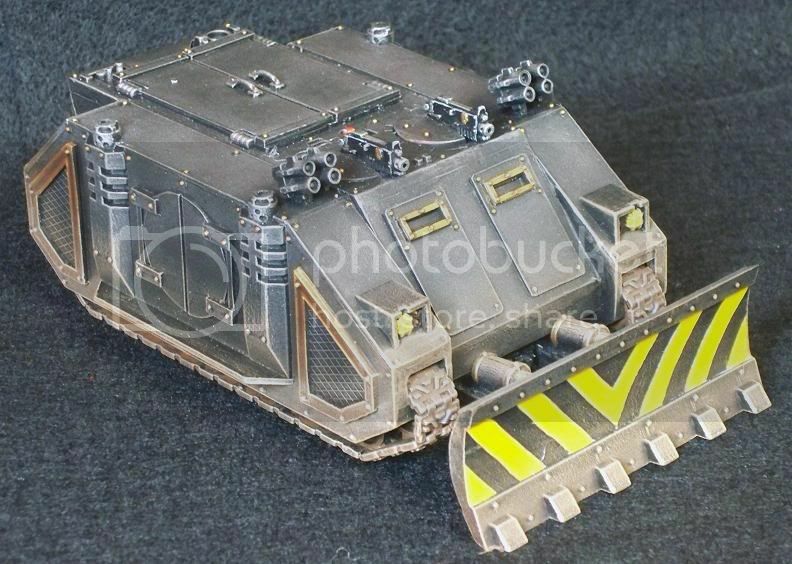 Here is for comparison photo from net of old style rhino, that is type MK I. 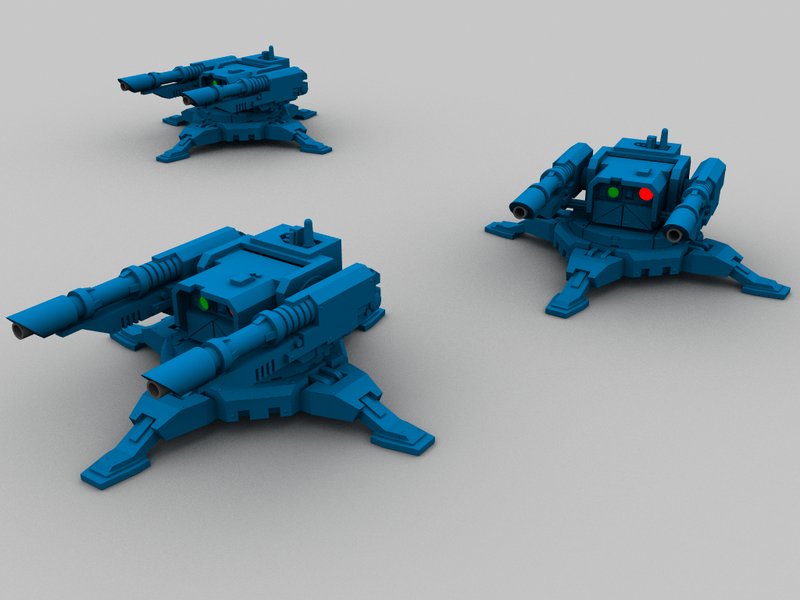 And here are two renders of last version of my prototype. There will be some minor changes, but main shape is here. I had to modify even wheels and tracks. Front and rear section of wheels/tracks pylon has same shape only mirrored. 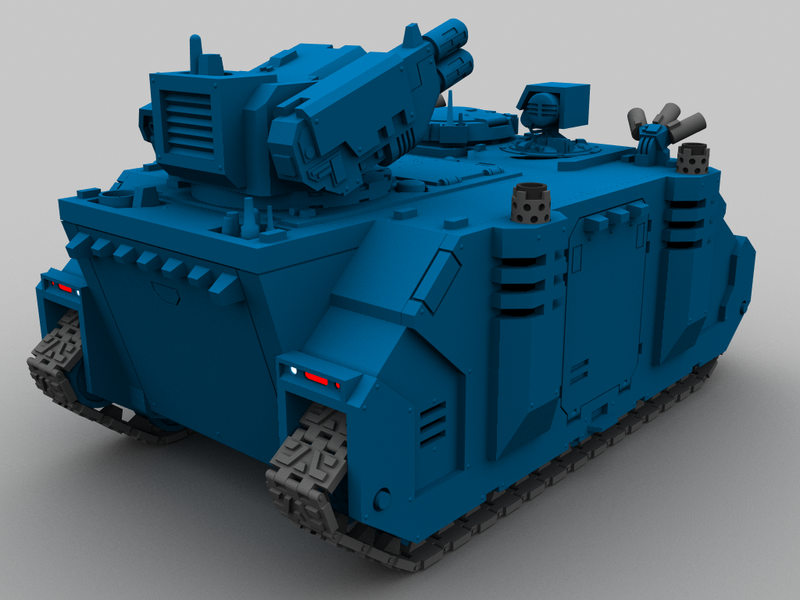 This rhino has similar dimensions as MK IIc. I think I have one of those hanging around somewhere. At least it's not as bad as the old-skool Land Raiders. i really like the look of both original tanks, but i prefer the rhino. those conversions are rather interesting. my trained eye sees a dozer blade from an ig tank, smoke launchers from chaos, headlights and power plant from mkiic rhino, etc. interesting. just like the 3d models in this thread lol good progress that man! 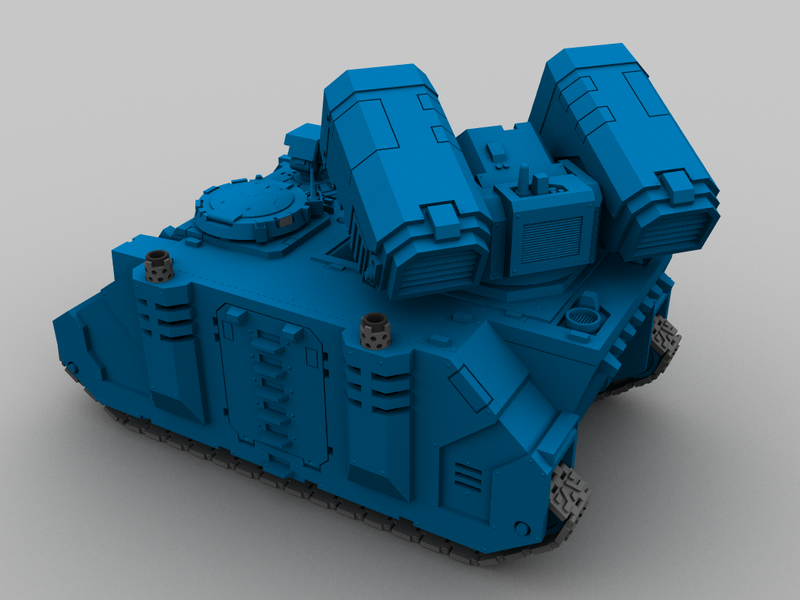 Small update with 3D rhino/razorback. 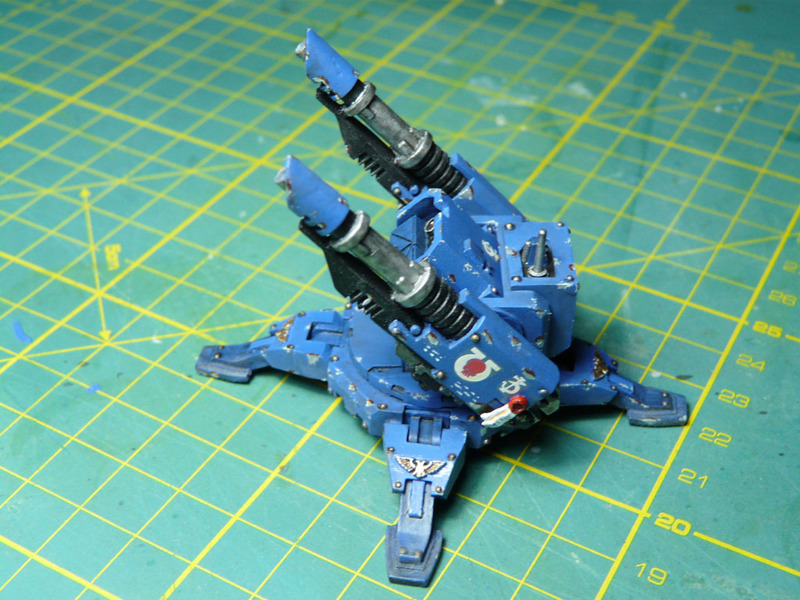 Razorback with Forgeworld multimelta weapon tower. 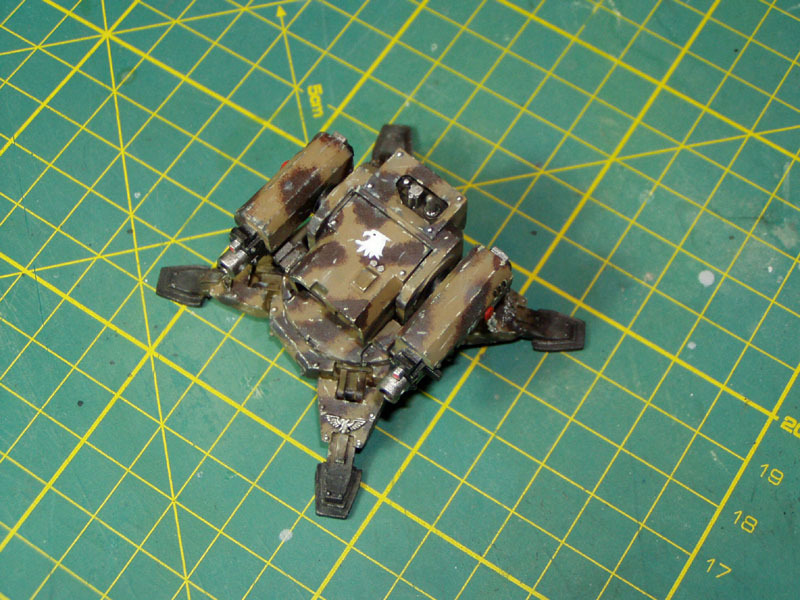 Like the updates Tom for the Rhino with Hyperios turret & multimelta weapon :cool: .... Damocles next ? Yeah it is on ToDo list, same as Vindicator or Helios. Btw, this is why I donAât have much time for 3D. Paint test on these boys. I will make them later in 3D too. 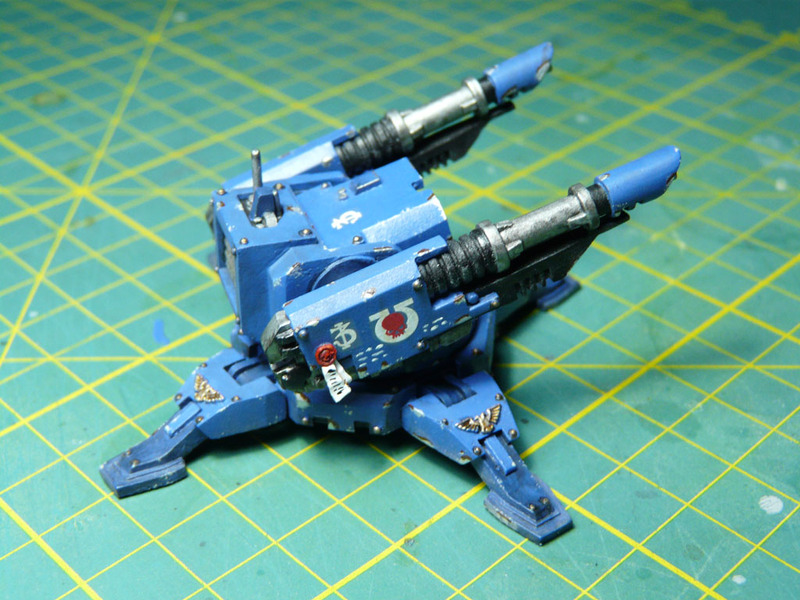 Heavy Bolter Tarantula of Raptors Chapter and Laser Cannons Tarantula of Ultramarines Chapter. 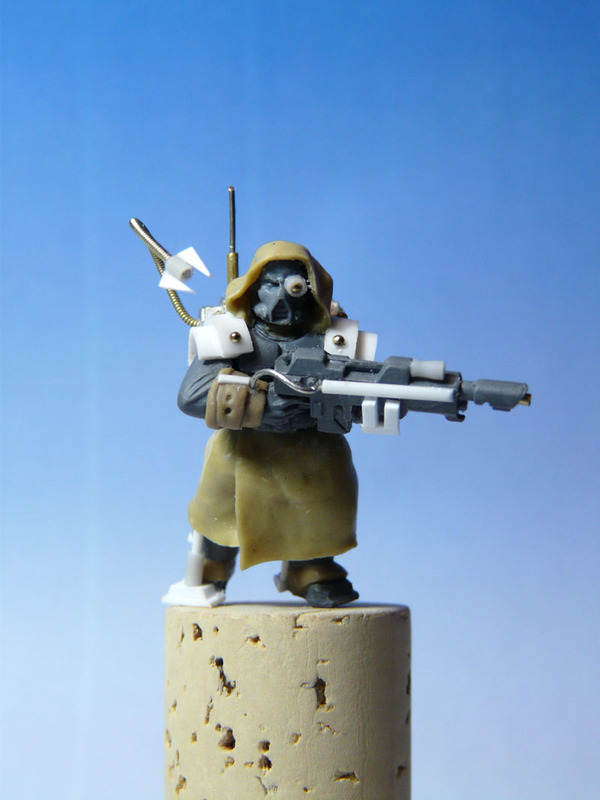 Both are test of painting and whole weapon tower is scratch build a castings based on dimensions from FW models. That is correct, but I need to have time for that. DonAât worry they are on list. 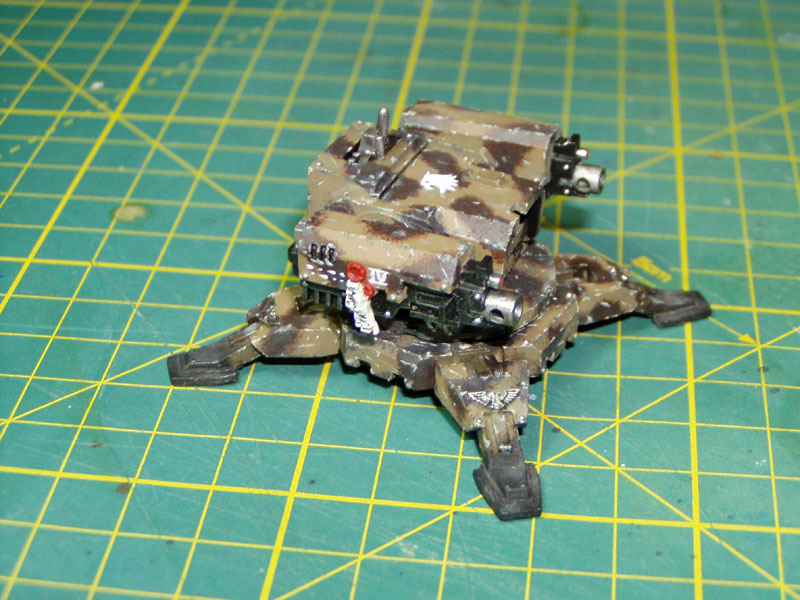 Here we have basic mesh of whole Tarantula sentry. There are missing only eagles on base legs. Nice! 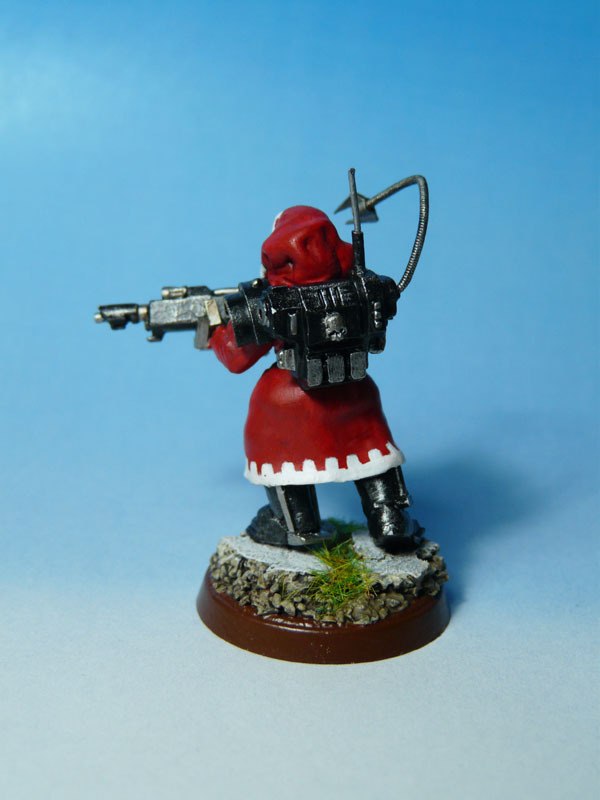 I've always loved the FW stuff. 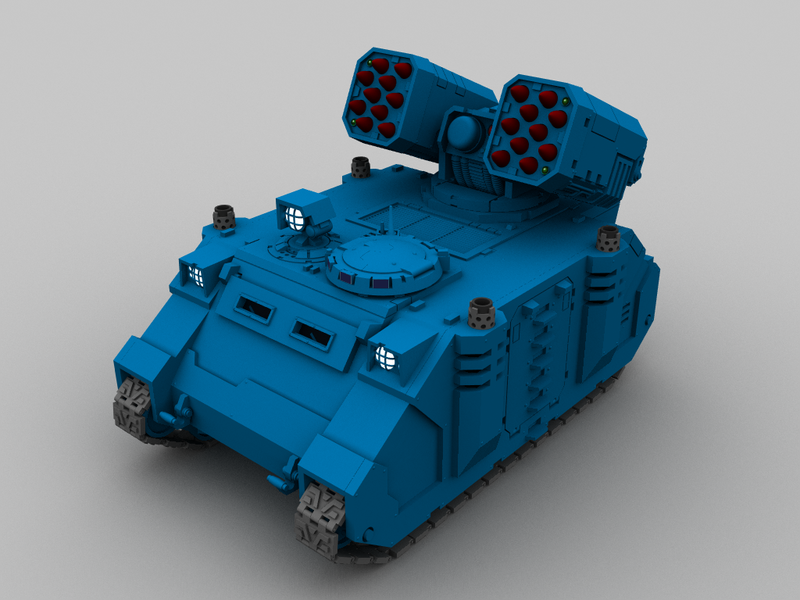 I'm still desperately wishing and waiting for a Land Raider Recovery Vehicle. 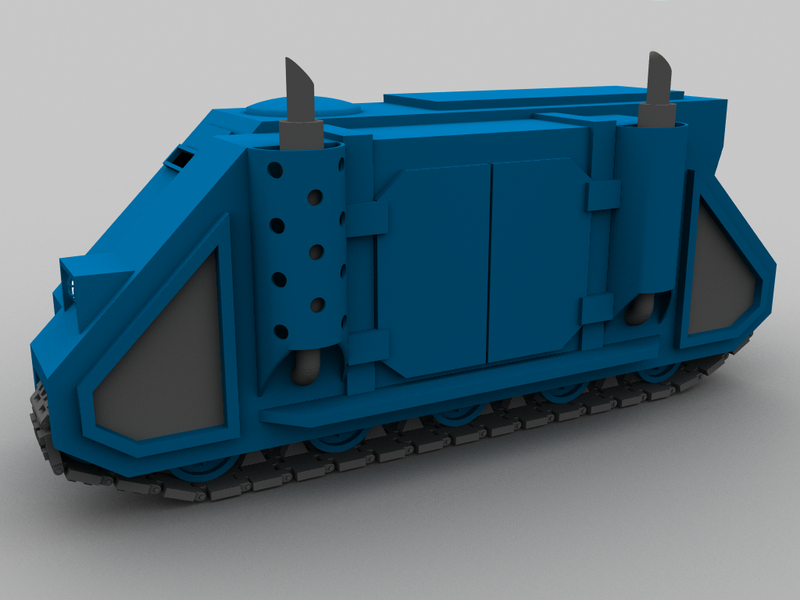 Y'know with a giant clamp/digger arm, winches and other engineer stuff for dem Techmarines. 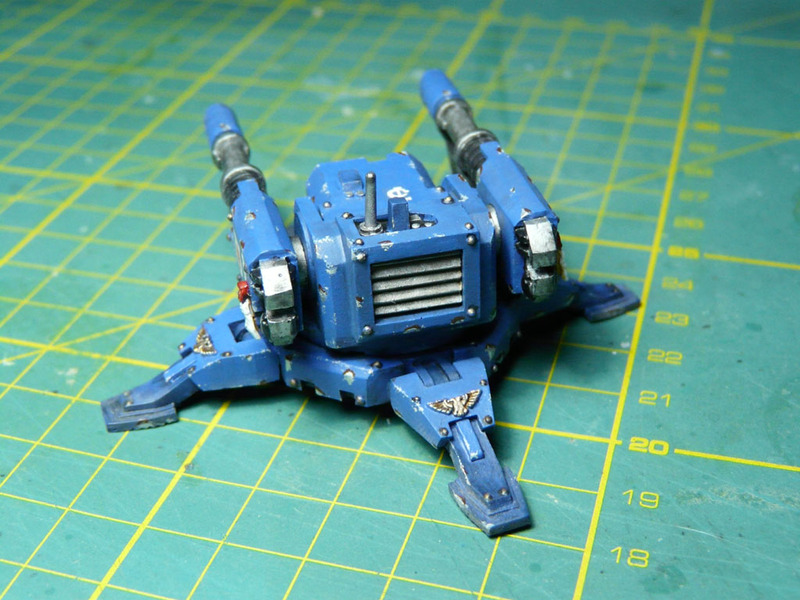 If you look carefully on this thread, you will see, that on Rhino are FW style turrets. There is missing only Damocles Radar Dish. 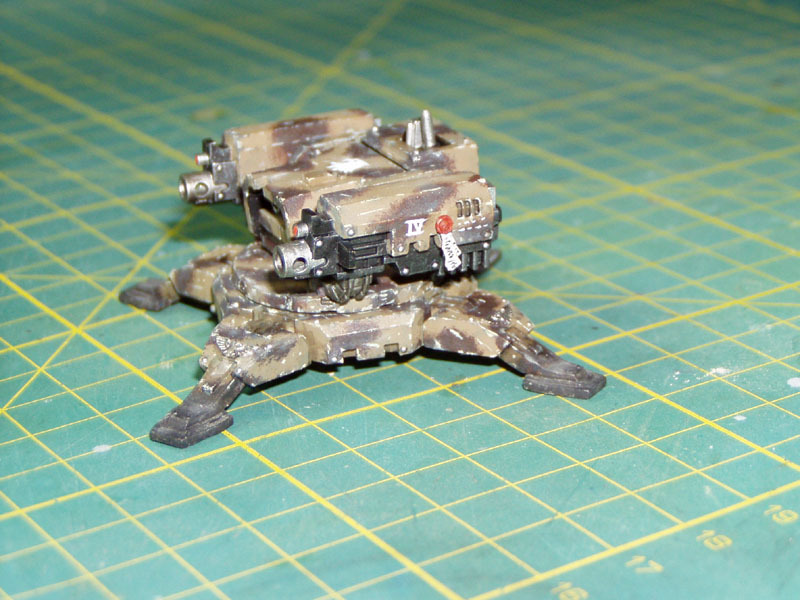 Btw I have it as few days as resin model from FW. Then it is on the ToDo list. Same as Damocles rhino, that has a bit different this radar module and some new parts, like extra interior for cargo hold with displays. LR Recovery vehicle? There is something oficial like this or it is only your wish? 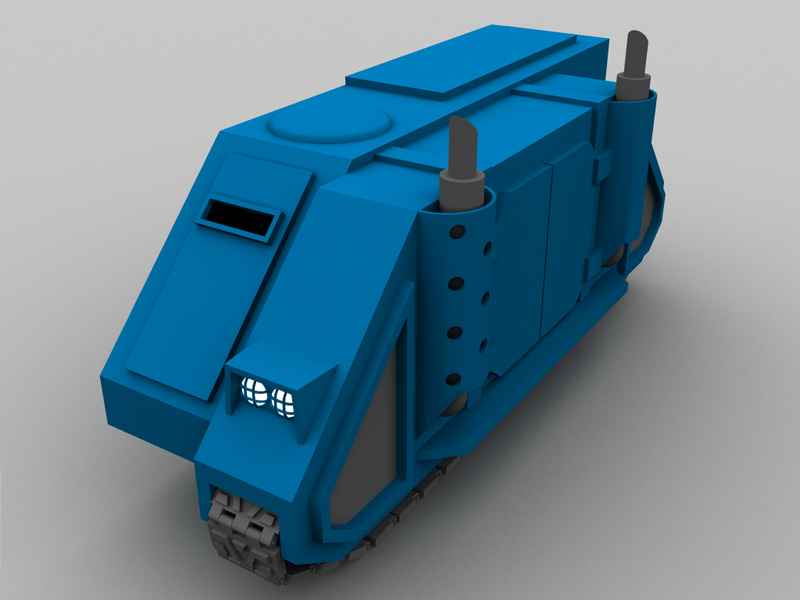 I know only about mod for Rhino to act as recovery and personal vehicle of some techmarine. 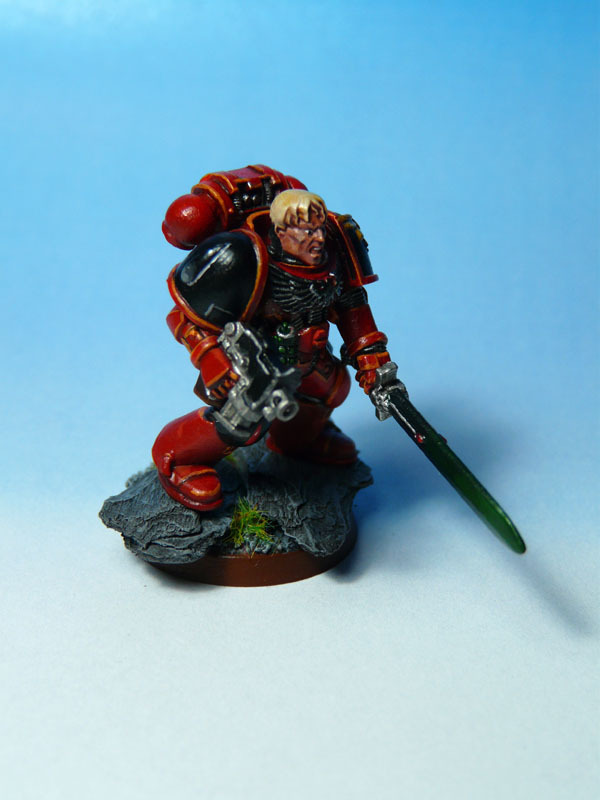 I donAât think that Space Marines need bridge layer. Their vehicles can cross water same as their power armours. 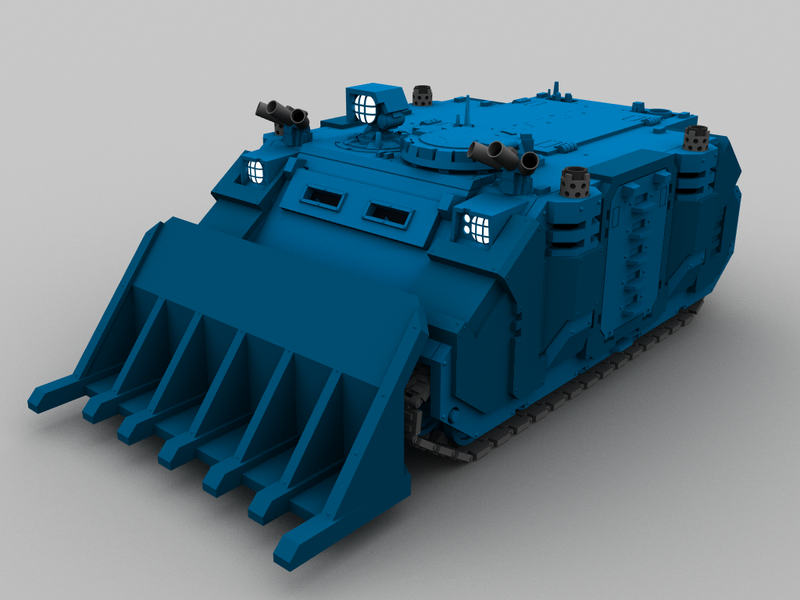 Most stuff like that would be good for the Guard (modding a Baneblade to act like a Trojan?). As the Marines are supposed to just act as surgical strike forces, they wouldn't need anything to get over large gaps or areas of water. They'd just insert by drop pod and Thunderhawk very close in. Recovery vehicles, maybe, as they do the whole "machine spirit" and sacred relic thing with vehicles, meaning that they'd want to recover the things quickly. Then here we have something new. Dozer Blade from Repressor. 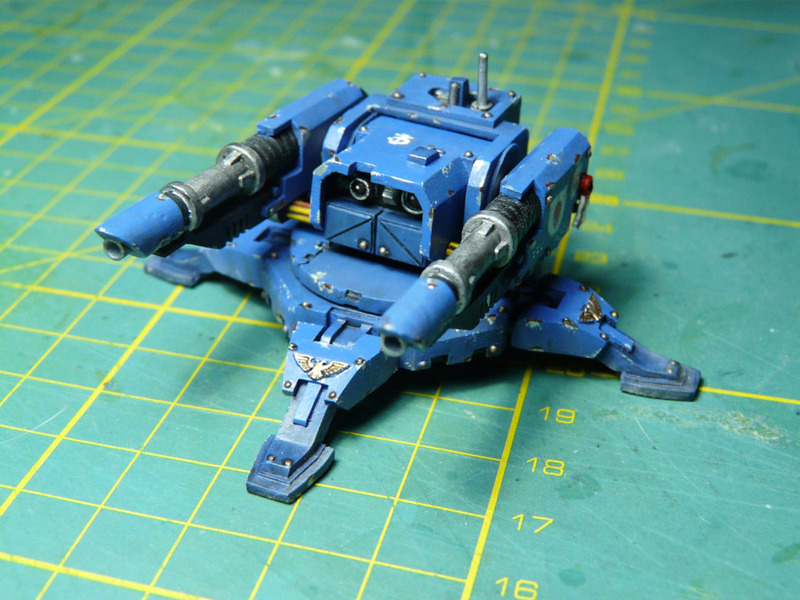 Imperial Aquila on this Dozer Blade is still WIP. IAâm a bit busy with non 3D stuff. Like prototype of this guy. nice Liking the dozer (and minis^_^). 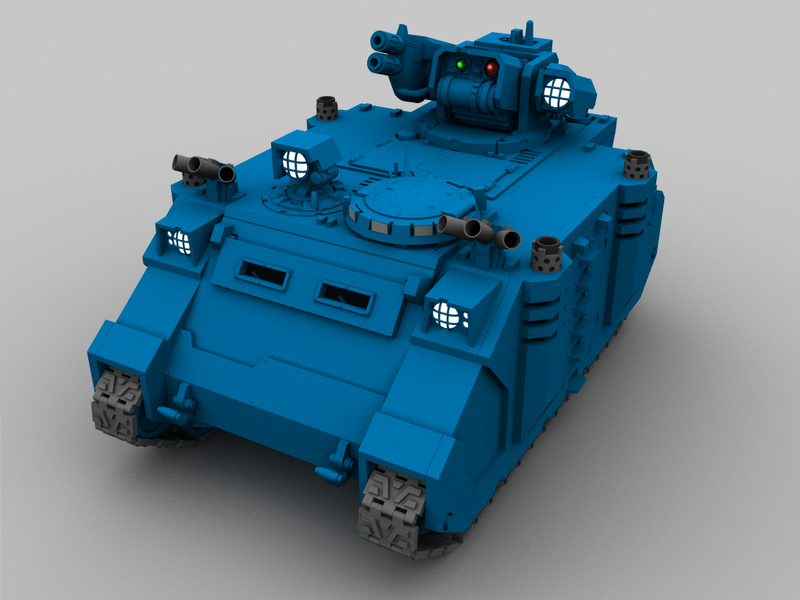 will u make the rhino into a repressor aswell?